I missed the memo about my weird brain and Juliette Binoche. Me: You know, like that movie he did with Juliette Binoche. Ryan: Steve Carell was in a movie with Juliette Binoche? When? Me: I don’t know, but it was good, and it had something to do with pancakes. 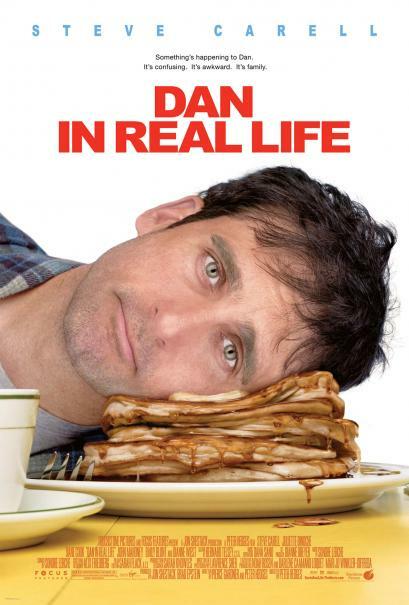 Somehow, my brain had filed “Dan in Real Life” and cross-referenced it under the categories of “Steve Carell”, “Juliette Binoche” and “Pancakes”. Being easily amused is one of my better qualities, and I have to admit, this cracked me up. And then I geeked out a little and started thinking about the idea of metacognition. I first got the memo about metacognition in one of my college psychology courses. Metacognition describes “a learners’ automatic awareness of their own knowledge and their ability to understand, control, and manipulate their own cognitive processes.” Wait…what? Seriously, it blew my mind, too, when I first thought about it. But once in a while, you can observe your brain at work, and then it’s kind of fun to appreciate that you have all sorts of weird and wonderful strategies for storing information so that it’s available and useful to you when you need it. Being mindful of these strategies and using them to your advantage can make you a hit at cocktail parties and a one-time Jeopardy! loser, much like myself. Clearly, my brain likes to have visual associations for stuff. When I attempted to compute “Steve Carell + Juliette Binoche” the result was a vivid image of pancakes in my mind. So maybe, the next time I’m trying to remember something important, I’ll make a teensy extra effort to connect a meaningful visual so I can increase my processing speed just a bit. I got the memo about Juliette Binoche when I saw “The Unbearable Lightness of Being” for the first time (oh man, so many memos…) Seriously, is there a more luminous creature in the world? I just love her French face. She’s very beautiful, but I find that there is something awesomely awkward about her. Ms. Binoche helped me to understand that being perfect isn’t the end all be all of attractiveness; being imperfect and interesting is so much sexier than being perfect. At least that’s what I keep telling myself. I majored in psychology and minored in French (and one of my upper level electives was “Great French Actress and Their Roles” how cool is that?) so I feel like this blog post reflects that I’m getting some serious mileage out of that fancy liberal arts education (that I am still paying for…) Memo received. I need to see Dan in Real Life. Dan in Real Life is really sweet…try to get past the fact that Dane Cook is in it. And yeah…when you can feel that your own brain is firing on all cylinders, it really is the coolest feeling.